Does it feel comfortable and welcoming? Would my children feel comfortable here? Is it equipped with the latest dental technology? While you hope that your dentist has a convenient location and hours, it’s important that you feel comfortable going to the office. Feeling good about your dentist is sometimes worth an extra few minutes of driving time. A consultation is a great time to sit down and talk with your new dentist in Brentwood about your goals, concerns, and treatment needs. This is the perfect time to ask questions and learn more about their treatment philosophies. 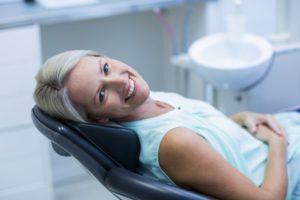 If you are considering changes to the appearance of your smile, ask to see some before and after pictures of recent cases your dentist has completed. This gives you an idea if their skill level and artistry will meet your needs. If you are looking for a highly skilled and experienced dentist in Islip, look no further than East Islip Dental Care. Dr. Gary Rosenfeld has been serving the community for over thirty years and he has gathered a team of dentists who combine their skills to meet all your needs here under one roof. East Islip Dental Care also makes it convenient for busy families to get to the dentist because we are open 7 days a week! Besides weekend hours, patients can also come early in the morning before work, or after work up until 8 pm. This means we can also accommodate most emergency patients with same-day dentistry. Give our office a call today to learn more about what we have to offer and schedule your next appointment. East Islip Dental Care offers a talented team of dentists who provide a wide and comprehensive range of services to patients in warm and welcoming environment. Dr. Rosenfeld is well established in the community and he’s hand selected a team that cares about patients as much as he does. If you would like to contact East Islip Dental Care, we can be reached through our website or by calling 631-581-8600.